After all the museum visits, we were ready for a late lunch. This time, Muhammad brought me to another traditional restaurant that is located across the road from a heart hospital. If I recall correctly, the hospital is attached to a university so there were quite a lot of students around the area. Kufta = (rice + meat + bean) mashed together = smashing! Note the sugar crystal sticks on the plate...They are saffron flavoured sugar crystal sticks, which are used to replace sugar in your tea. 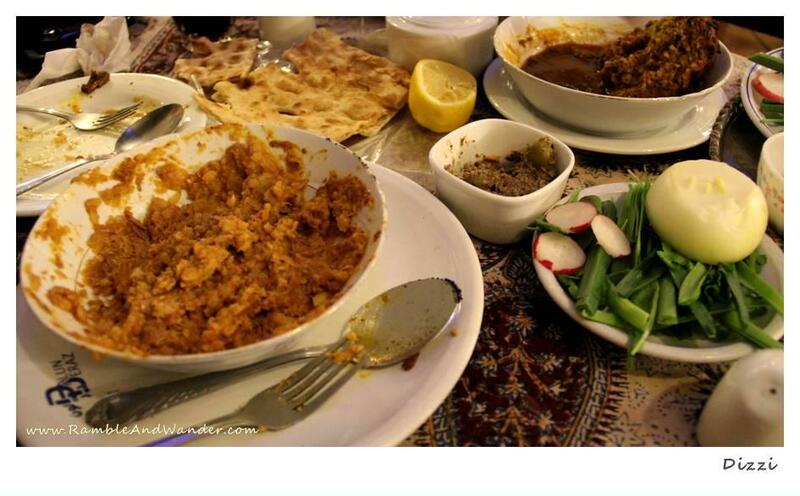 I'm sure they are good but Iranian food, arabic food not my bowl of curry lah! ;) Shawarma tu arabic ke? Ha, tu akak suka! have never tried iranian cuisine, but those food do look so tasty! As a photography student I always follow your blog for reference. Thank you so much R.a.W. Here, I would like to share a citation from James, Cheadle. (2010). Portrait Photographer’s Style Guide. Page One Publishing Pte. Ltd. “When shooting travel portraits it’s important to capture the local flavor to give the viewer enough information to imagine the location without necessarily including everything in the shot.” Page 92. I am also really appreciate if you can share or give information about aperture, shutter speed, ISO speed & time taken and others tips of your photograph. Thanks for following my blog. Am not exactly good at photography although I do try to improve my skils from time to time. Hopefully over time, you and everyone else here can see some improvement in the shots that I take. Re your suggestions on info: until I can get shots like those out of NatGeo Travel mags, I probably shouldn't publish details about aperture, speed, ISO, etc. of my photos. Or else it's probably going to end up as a guide on "How NOT to take your photos", eheh! Anyway, actually I was downloaded your set of pics UAE: Lunar Eclipse in Dec 2011 and was trying to make time-lapse by using Macromedia Director MX 2004. Unfortunately I cannot send it to your emel because the capacity of the time-lapse is too large. Do you have any idea how can I send it? I also want to say sorry for downloading without your permission, but don't worry I don't have the nerve to publish your works!